It has become fairly well-known that the Suzuki Burgman Street will be launched in India on July 19. The maxi-scooter has already started reaching authorized dealerships and a new report claims that the on-road price of the Burgman Street will be roughly Rs 76,000. This will make the Burgman Street the most expensive Suzuki scooter in India. The Suzuki Burgman Street 125 made its public debut at the Auto Expo 2018. The latest automatic scooter will become the only maxi-scooter in India. The Burgman will become India’s second maxi-scooter, after the highly likeable but the now-defunct Kinetic Blaze. The front-end of the Scooter is characterized by an aggressively-styled apron that carries a big headlamp. The scooter also gets a small visor along with sharp apron shoulders. It gets a rather chunky handlebar that has a plastic encasing. The instrument console has been positioned behind the visor. The Burgman 125 offers a really large seat, which should make it fairly comfortable for well-built riders. The Burgman Street 125 is in line with the international Suzuki Burgman range of scooters. 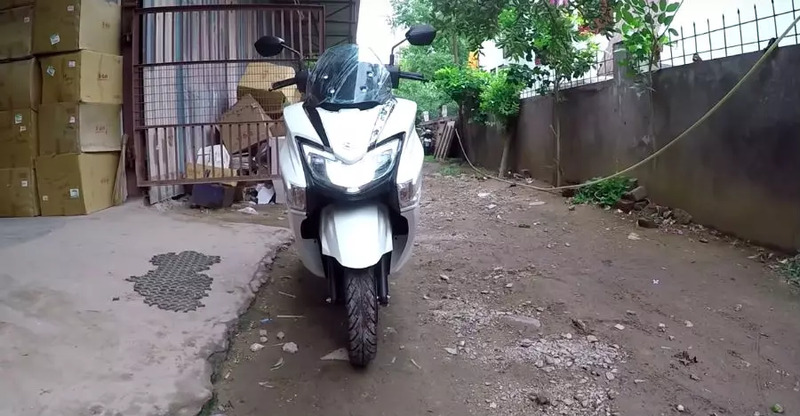 It gets a similar maxi-scooter design. However, while the India-spec Burgman gets a 125cc engine, the international line-up comprises of 200-cc, 250-cc, 400-cc and 600-cc models. The Burgman Street 125 shares in plenty with the Access 125, which means that the upcoming scooter will be a fairly reliable offering. 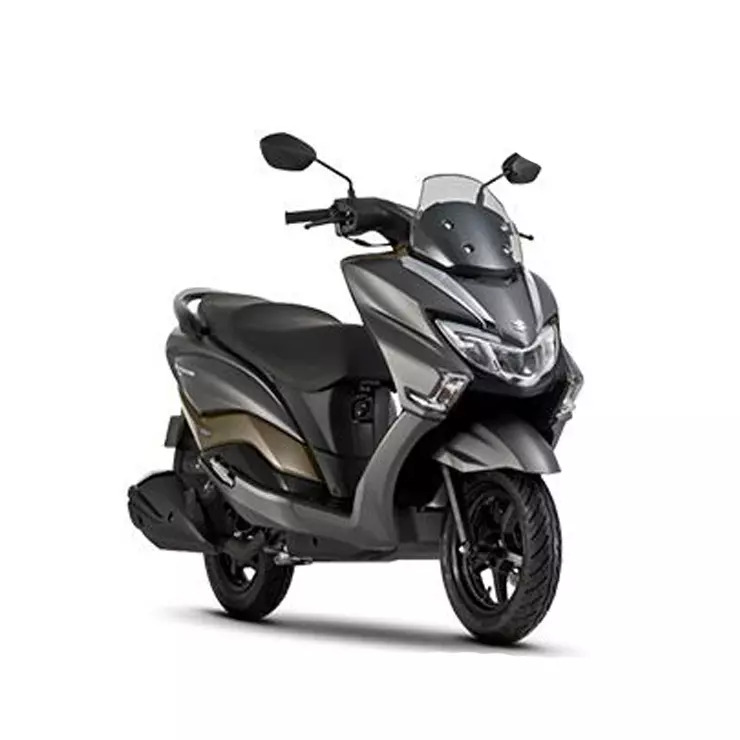 Powering the Burgman Street 125 is a single-cylinder, 124cc engine that produces a maximum power of 8.5 bhp at 6,500 rpm and a peak torque of 10.2 Nm at 5,000 rpm. This is the same motor that also powers the Access 125. As the upcoming maxi-scooter is a tad heavier than the Access 125, Suzuki Motorcycle India Pvt Ltd is likely to re-tune the motor accordingly. The engine will come mated to a CVT. The Burgman Street will be a sufficiently feature-laden model. Its features list will include LED headlamps, LED tail lamps, fully digital instrument cluster, rear monoshock, front disc brake, 12V charging socket, best-in-class under seat storage space, front telescopic forks, tubeless tyres, multi-function key slot, and a Combi-Brake System.